A painter's favourite, with a brilliant twist. 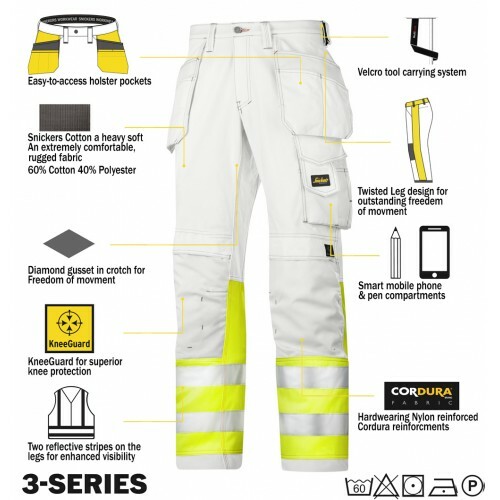 Amazing high visibility painter's trousers, featuring advanced cut for a perfect fit and superior Cordura® reinforcements for enhanced durability. EN 20471, Class 1. Material: Canvas+. An extremely comfortable, rugged fabric. 60% Cotton, 40% Polyester, 340 g/m². 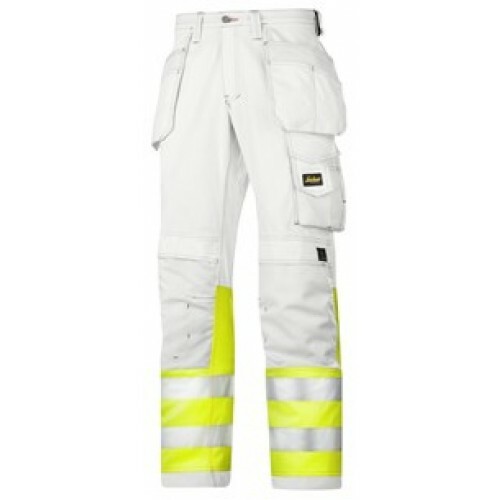 60% Polyester, 40% Cotton in High-Vis areas. Featuring 100% Cordura®-Polyamide reinforcements.